During last years, modern design trends were making vintage the new cool. Mid century home accessories and furniture are very beautiful and charming. For those who want to try redecorating the interior with fun, here are several most interesting mid century modern ideas for DIY projects. There are many people loving to keep flowers and plants inside the house. Lovely planters that sit on little cute stools. It is pretty easy to craft something like that by yourself. 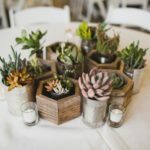 For this, you will need: angle plates, wooden plaques, a drill, tapered wooden legs, painter’s tape, wood stain, some glue, and of course planters themselves. The label of mid century designs are three-legged tables. But that specific charm can be captured not in all table designs. If you want to reach vintage charm you will have to make an extra effort, but it worth it. One more idea of mid century design is to attach legs to the tale not directly to top, but place to the side. Giving some more makeovers, like painting or staining will give the better result. 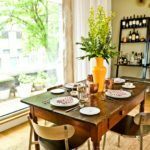 Using hairpin legs is a good idea for all kinds of tables from mid century wood dining table to little side table in the nursery. 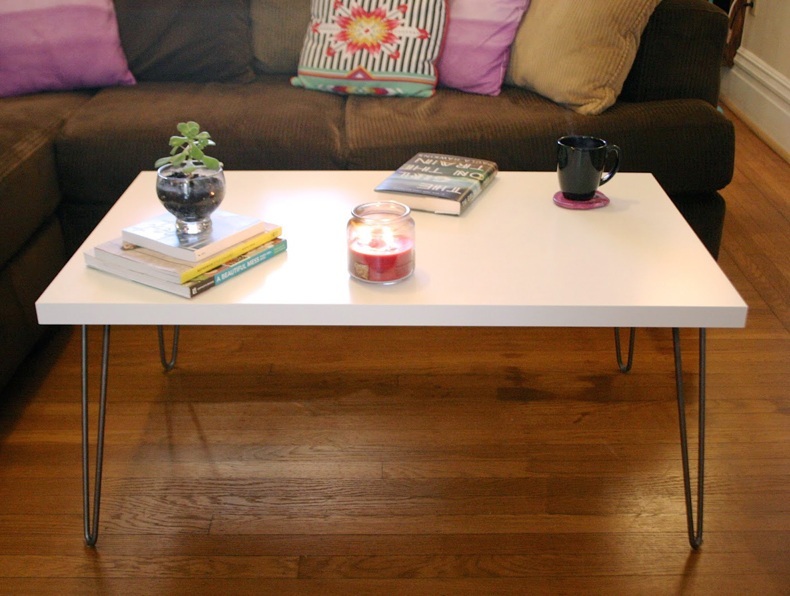 Almost any piece of wood can become a great table after adding three hairpin legs. Also, try to paint legs before attaching, so that legs contrast the top. 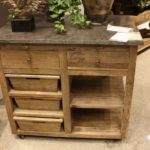 Live edge wood furnishings is another popular trend in contemporary designs featuring mid century ideas. 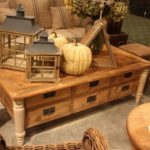 Imagine a bench with live edge top and legs brightly painted to contrast the top. It can serve both as a nightstand and a coffee table. Comfortable mid century sofa or mid century style bed is easy to be made, especially if you have an outdated and old sofa. Give it some makeover or recycle it in something different. There are many ideas online about how to make for example a sling bench from your old sofa. Of course, chair is a must-have piece of furniture in any house, but mid century chair design will make a simple furniture piece into an accent piece and an item you cannot live without. Some project needs some air dry clay, acrylic paint, glue gun, gilding, pastel spray paint and few efforts. Cozy and vintage feel can be reached with the help of mirrors redecorating. These accessories can be crafted pretty easy. The easiest idea is to take a round mirror, gold wire and a styrofoam disk. Paint disk gold and cut the gold wire into the same pieces. Form the wire into the shape of leaves and attach them to the sides of the disk. The final stage is gluing your mirror to the disk. There is nothing scary or complicated in building such accessories like light fixtures. Actually after you understand the principles of how does the chandelier works, the rest of work can be a lot of fun, especially if you like doing things with your own hands. Maybe can improve the surface to expose all the wood Grains. I think that makes it more nature value. Which Hardwood Bed Frames is Most Used Nowadays?